Blackjack: Optimal Strategy - learn how to improve your odds! Blackjack, a game of skill and strategy, is immensely popular among Australian players for its low house edge and the various possibilities it offers for lowering the house edge further. The blackjack player’s aim is to lower the house edge as much as possible by making the right decisions at the right time. A lot of players fail to win at blackjack because they do not know how to implement the proper blackjack strategies at the proper time. Basic blackjack strategy is something that players must learn as soon as they have learned the rules of the game. Basic strategy charts, which are available free of charge at most blackjack portals, tell players exactly what they should do in almost every situation they face while playing the game. If players cannot memorize it, they can refer to it every now and then while playing a game of blackjack. Another major mistake that new players make is omitting to learn blackjack terms. Players should not only learn the rules, but understand perfectly what is meant by hitting, standing, insurance, doubling down, surrendering, and so on. In fact, there is not much sense in playing blackjack if players do not understand the basics. Before playing blackjack, players should also know what is meant by hard hands, which are hands that do not contain an ace, and soft hands, which are hands that contain an ace. • Avoid splitting tens, fives, and fours, but always split eights and aces. • Sevens, threes, and twos can be split only if the dealer’s exposed card is seven or lower. • Sixes can be split if the dealer’s exposed card is six or lower. 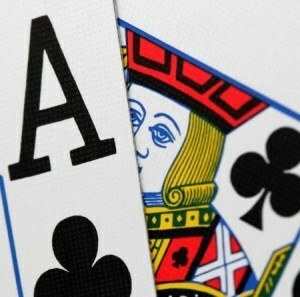 • Nines can be split if the dealer’s exposed card is an ace, ten, or seven. • Some blackjack variants permit re-splitting hands if they get another same-value hand. Some casinos allow players to surrender if they have a weak hand and get back half of their bet amounts. Players are sometimes over eager to surrender to save some of their money, as a result of which they even surrender good hands. • Hands of point value 17 if the dealer’s exposed card is an ace, ten, or nine. 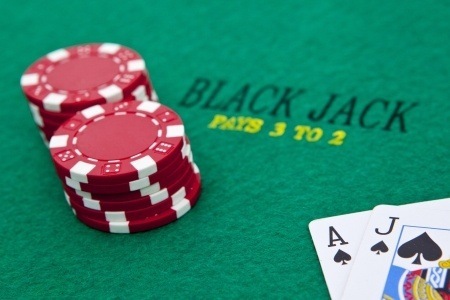 The insurance bet is a bet that a lot of inexperienced blackjack player seem to like. It is also a bad strategy bet. If the dealer’s face up card is an ace, the player is offered the option of taking an “insurance” bet of up to half the original wager before the dealer checks the hole card. Insurance is basically a side bet (independent of the main wager) that the dealer has blackjack. The insurance bet, though it may seem attractive at first, feeds the fear of the player and has a very high house edge. One’s blackjack education never ends. There is no dearth of blackjack strategy books for players to read, and players should make it a point to learn and practice as much as possible if they want blackjack success. And never forget, the object of playing blackjack is not to come as close to 21 without busting. The object is to beat the dealer!